1. Custom Audiences: You can upload a list of your existing customers using Custom Audiences. Then use Lookalike Audiences to find people that resemble that audience. 2. Website visitors: You can install a Facebook pixel on your site. 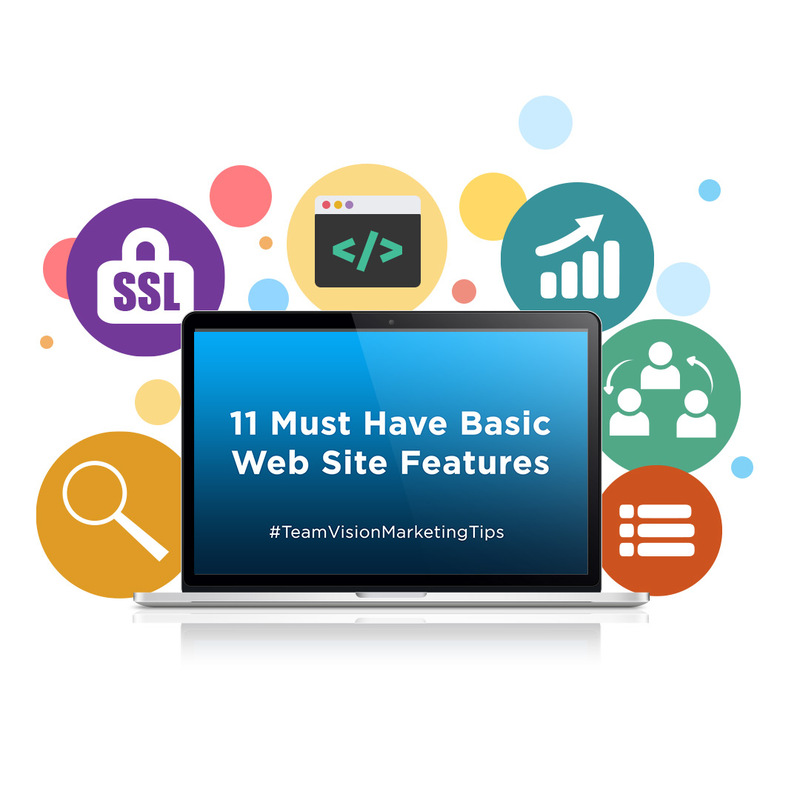 Then create Lookalike Audiences based on people who’ve visited specific pages of your website. 3. 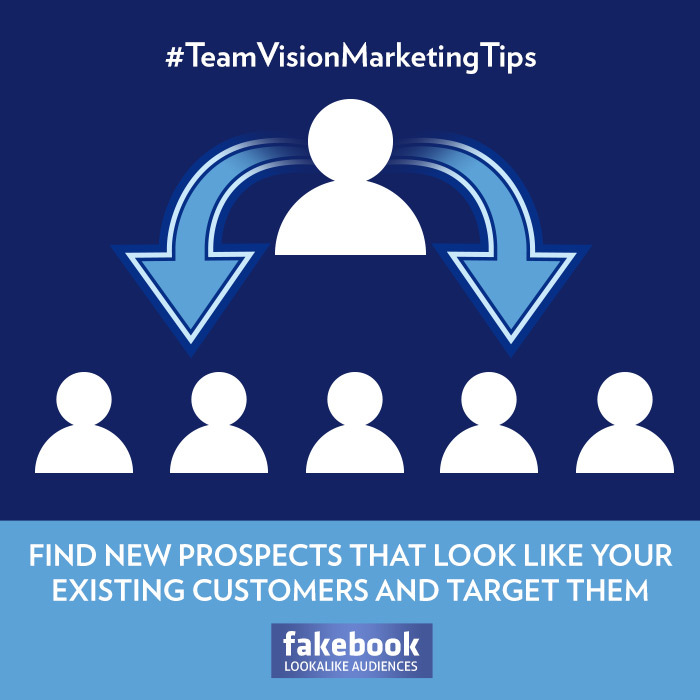 Page fans: Use Lookalike Audiences to create an audience of new prospects based on people that have already liked your page. When creating a new Facebook advertising lookalike audience, you first choose a source audience. This can be a current email marketing database, your CRM database, a custom audience created with a Facebook pixel, or Fans of your current Facebook page. Once you upload this database into the system, Facebook will then find people who are similar to (or “look like”) them. Next, you can choose the size of your Lookalike Audience. 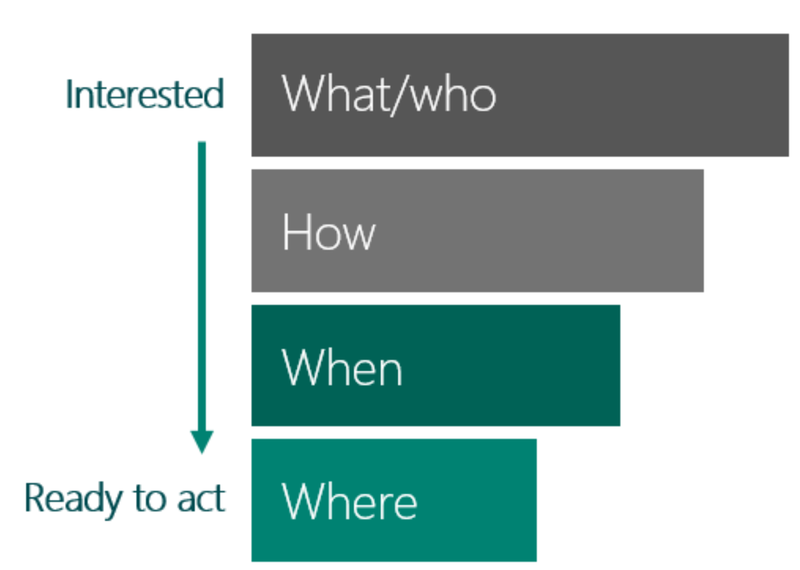 Smaller audiences will more closely match the characteristics of your source audience. If you create a larger audience, it will increase your potential reach, but it will also reduce the level of similarity between the Lookalike Audience and your Source Audience. Facebook recommends a source audience with between 1,000 to 50,000 people. Source quality matters too. For example, if a source audience is made up of your best customers rather than all of your customers, that will lead to better results. Here are some additional tips to consider when creating your Lookalike Audiences.Your Lookalike Audience will only include people from the country(s) you select during creation. 1. Your source audience must contain at least 100 people from a single country in order to use it as the basis for a Lookalike Audience. 2. You don’t have to include people from the country(s) you want to target in your source audience. For example, if you have a source audience of 10,000 people from the U.S., you can use that to create a Lookalike Audience of similar people in Canada. 3. You can create up to 500 Lookalike Audiences from a single source audience. 5. You can use multiple Lookalike Audiences at the same time for a single Facebook or Instagram ad set. The ad set will target your ads to people who are in any of the selected Lookalike Audiences. If you’d like to learn more about Facebook Lookalike Audiences, Facebook and Instagram advertising services, or if you’re just in need of a Hawaii full-service advertising and marketing agency, please give us a call. We can assist you with all of your social media management and digital marketing service needs. In the meantime, check out some of our social media marketing programs and digital promotions in our web site portfolio at www.teamvision.com/portfolio. Hear from Dolly Moreno, Director of Sales & Marketing at Honua Kai Resort & Spa Maui, on her experience working with Team Vision Marketing. 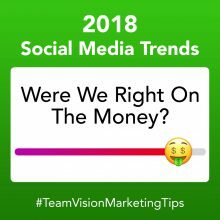 It’s common knowledge among digital marketing agencies that Social Media Marketing is an essential marketing tool, but some businesses still believe in some misconceptions surrounding it. Believing in these myths can affect the quality and growth of your brand’s social media presence. 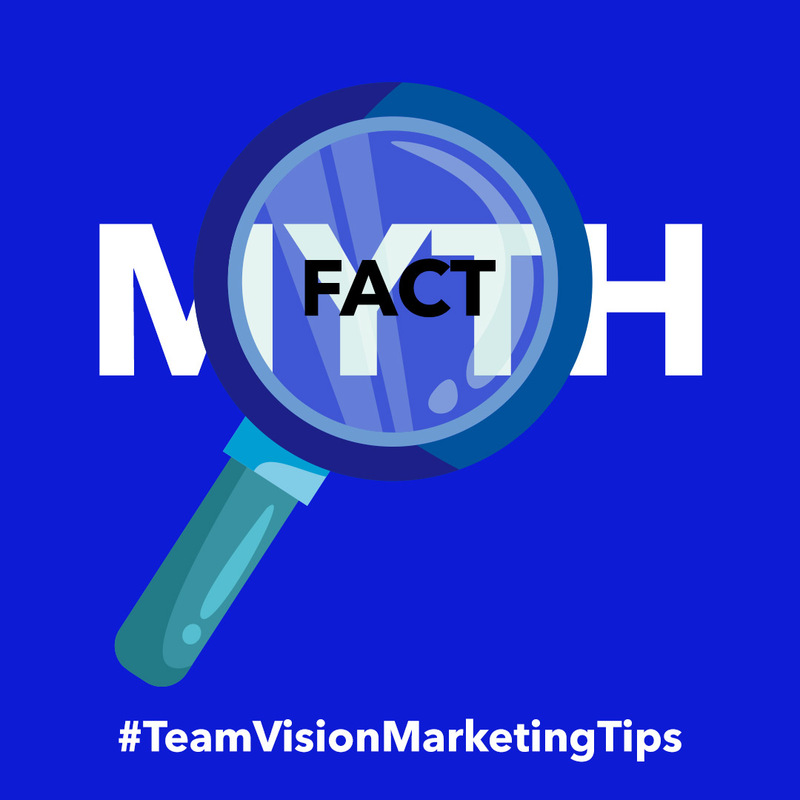 Team Vision Marketing’s team feels obligated to bust some of these common myths and help guide your business in the right direction. In this edition of Busting Social Media Marketing Myths, our team will weigh in on which online advertising networks are most popular, audience targeting, and sustainable methods for growing your social media follower counts. Make sure to read Busting Social Media Marketing Myths #1, Busting Social Media Marketing Myths #2, and Busting Social Media Marketing Myths #3 for more busts on social media marketing myths. MYTH 1: Facebook And Instagram Are The Only Effective Social Media Platforms To Advertise On. 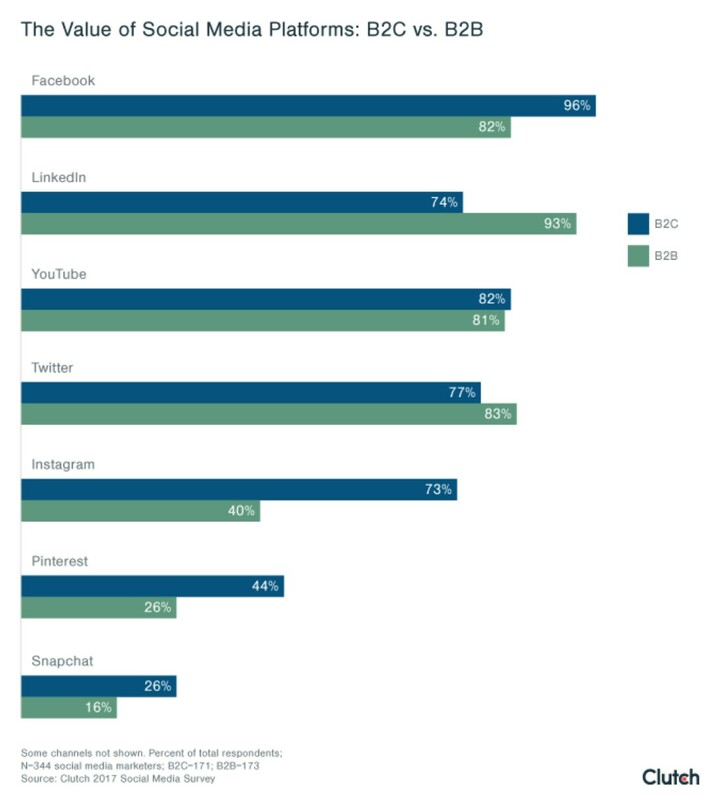 Although Facebook Ads, which distributes social media ads on both Facebook and Instagram, is the dominant social media advertising network, agencies and brands shouldn’t disregard advertising on other social media platforms, such as YouTube and SnapChat. In fact, these other social media advertising networks have been improving their operating systems to increase advertising effectiveness and ROI. Digital agencies recognize the potential and value of these smaller social media advertising networks, as seen in the graphic below by Clutch. 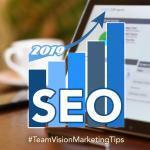 Team Vision Marketing recommends that brands be open-minded and research how you can potentially utilize these smaller social media advertising networks in your digital marketing plans. Here are some pros and cons of each. YouTube is used by a wide range of age groups. It’s a creative platform with six different ad formats. Skippable video ads (a.k.a. TrueView ads), Non-skippable video ads, 6-second Bumper ads, Overlay ads, Display ads, and Sponsored cards. There are 1.5 billion monthly users that watch one billion hours of YouTube videos daily. YouTube mobile video consumptions are increasing by 100% every year, according to HubSpot. Video ads are an effective form of digital marketing/advertising. A 2016 study by Google and comScore found that 48% of online video viewers prefer YouTube as their top video site. Videos provide agencies and brands the opportunity to tell their story and educate their target audiences with their products or services in a creative way. With video ads, advertising can be engaging, compelling, and entertaining. Keyword targeting on YouTube can be less expensive than keyword targeting on Google with views costing an average of $0.06 per click on YouTube (HubSpot). YouTube Ads and videos can improve your SEO ranking. There are new audience targeting developments. In addition to the YouTube behavioral video viewing algorithm, YouTube advertisers will be able to target viewers based on their past Google search history of products or services in the near future (HubSpot). Another form of YouTube Advertising can take form as a collaboration with YouTube influencers. Influencer marketing can be effective because some consumers like to watch testimonials, reviews, or product demo videos before buying a product or service (Forbes). In fact, more than 80% of people trust online reviews as much as personal recommendations, like unboxing videos (Forbes). 90% of YouTube users say that product videos are helpful in the decision process and after watching a video, 64% of users are more likely to buy a product online (HubSpot). It can cost a company a lot of time and money to produce high-quality video ads. There are numerous case studies that show that YouTube ads successfully increased brand awareness, conversions, and web site traffic. However, a successful YouTube ad depends on the quality of the video or if the YouTube influencer has a positive review of your products or service. Now that YouTube’s Director On-Site program has been terminated, small businesses will have to rely on in-house resources, an advertising agency, or YouTube recommended third-party video creating platforms to make video ads. For businesses that want to self-produce their YouTube ads, understand that it takes time to conceptualize the storyboard, write dialogue or copy for the ad, and block out shooting days. Then, it might be expensive to hire the right people to shoot, produce, and edit the video. In addition, your team might have to hire talent, rent a space to film at, and so on. Hiring or using one of the YouTube recommended third-party video creators might be a more affordable option. But the process will still require a lot of time and coordination between you and the third party video creator to create the ad. Influencer marketing could be costly and might not produce the results you are looking for. YouTube ads can be annoying. YouTube ads that play before or in the middle of a YouTube video can be seen as annoying by some. It’s easy for your audience to skip right past your ad and not pay attention to the message at all. Even so, these ads can be used effectively to create brand awareness, even with minimal viewing times. Agencies and brands can reach millennials and Gen Z audiences.4 million 12- to 17-year-olds will use Snapchat. Emarketer.com estimates that Snapchat will add 1.2 million new users in that age group by 2022, while Facebook will lose 2.2 million. About 187 million people use SnapChat 25 times per day. SnapChat has high engagements. SnapChat says that for every 1,000 followers a profile has, 900 of them will watch their story (Hootsuite.com). Taco Bell reports that 80% of their approximate 200,000 SnapChat friends saw their stories (Hootsuite.com). Not to mention that it’s one of the best platforms for User-Generated content. SnapChat has cool, interactive digital ad formats. SnapChat has three interactive ad formats: Snap Ads, Sponsored Geo-Filters, and Sponsored Lenses. When SnapChat users touch a Snap Ad, the ad can expand to a full screen video with audio, link to the brand’s web site, install an app, lead you to a long form video, or download an exclusive lens for the user to interact with. Sponsored Geo-Filters are great for increasing brand awareness and expressing the brand’s creativity. Sponsored lenses are interactive face filter animations that are really great for brand awareness and collecting user-generated content. SnapChat made some cool marketing upgrades. SnapChat has updated its insight features to track more valuable analytics data and improved their targeting features. According to AdWeek.com, SnapChat now offers pixels that can track web traffic, conversions, and create retargeting and lookalike audiences lists. AdWeek.com also reported that SnapChat advertisers can now upload customer email lists to match their SnapChat ads to the users. 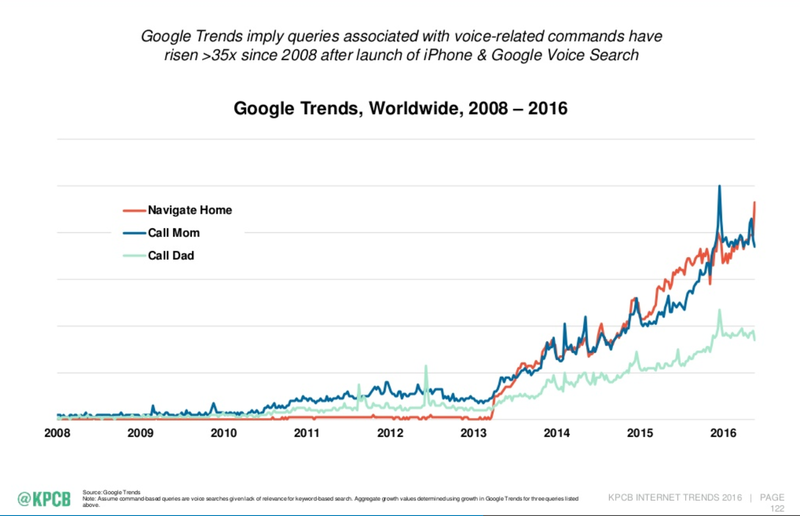 Ads are seen as less disruptive. Unlike Facebook, Twitter, and Instagram, ads don’t pop up on SnapChat’s feed or interrupt the user’s content. Instead, ads run in the Discover tab on the SnapChat app. Also, sponsored Geo-filters, like the ones we designed for Honua Kai Resort & Spa and Dole Plantation, and Sponsored Lenses only show up if the SnapChat user is within a brand’s geo-fence. Advertising costs for Sponsored Geo-Filters went down. SnapChat dropped their expensive advertising daily fees and opted to start using auction bids, like Facebook Ads and Google Ads (AdAge.com). However, according to Hootsuite, Geo-Filters can be as low as $5 to reach within the immediate location or $45 for 2 days to reach people in a city. According to AdAge.com, SnapChat is also developing a “Reach and Frequency” option for guaranteed prices according to approximate audience sizes. There’s less competition on SnapChat than Facebook and Instagram. This means that, potentially, the keyword targeting bids are cheaper on SnapChat Ads than for Facebook Ads. It could also mean that there is less noise for the SnapChat audience, so viewers may be more willing to watch your brand’s ads. This digital advertising network is still new, and the audience is smaller than Facebook and Instagram’s advertising audience. Audience exposure to SnapChat ads is limited to the users that browse through the app’s Discovery tab. This digital advertising network is best for reaching younger people. 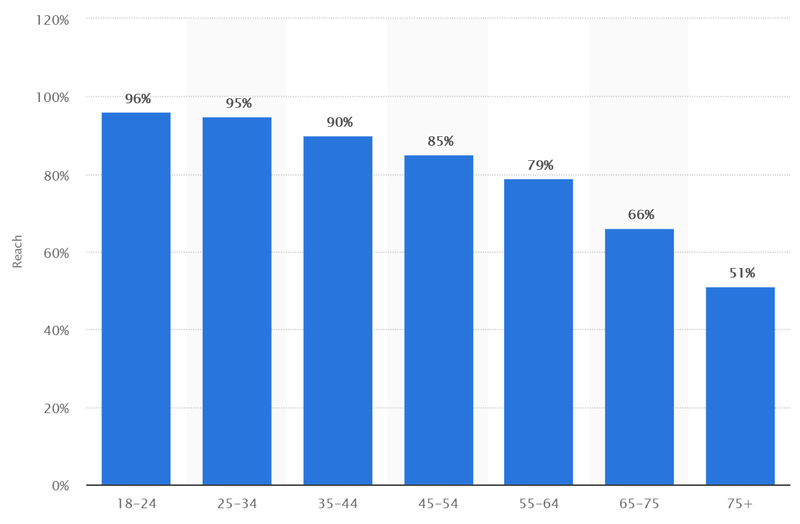 If the target audience is older than teens and younger millennials, then it will be more effective to advertise on a different platform, like Facebook and Instagram ads. Sponsored Lenses can be very expensive. This ad format is not suitable for smaller businesses due to the costs required to create and code lenses, and the ad space. This is why mainly big-name brands, like Urban Decay or Pepsi, uses Sponsored Lenses. Designing custom Geo-Filters can be, potentially, expensive. SnapChat Geo-Filters are best for brand awareness. These ads can be less effective for generating increases in conversions. Yes, targeting a broader audience can generate more impressions, a greater reach, and increased clicks for your brand’s digital marketing ads, which is why this targeting strategy is ideal for increasing brand awareness, lead generation, and collecting customer data. For example, using a broad audience targeting strategy, a boutique hotel on Maui might target West Coast USA markets and bid on more vague search phrases, like “Hawaii Hotels”, instead of a more targeted phrase like “West Maui boutique hotels”. However, using less targeted filters for your brand’s digital marketing campaigns also means that the ads won’t attract the highest quality audience. You’ll wind up paying more (because you’re reaching a much larger audience), but since your audience targeting is less specific to your brand, you won’t necessarily see a proportionate increase in conversions. If your company wants to increase sales and attract a higher quality audience to your site, then consider marketing to a specific audience with targeting filters, like location, interests, income, age, groups, and likes. For a specific audience targeting to work efficiently, your brand needs to have existing customer data, a solid idea of who your customer is, or buy data from a third-party data sharing firm. 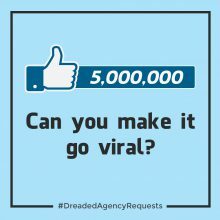 For example, a local Hawaii furniture store advertising on social media will want to specifically target an audience who is at least 25 years or older and interested in home decor or home improvements. 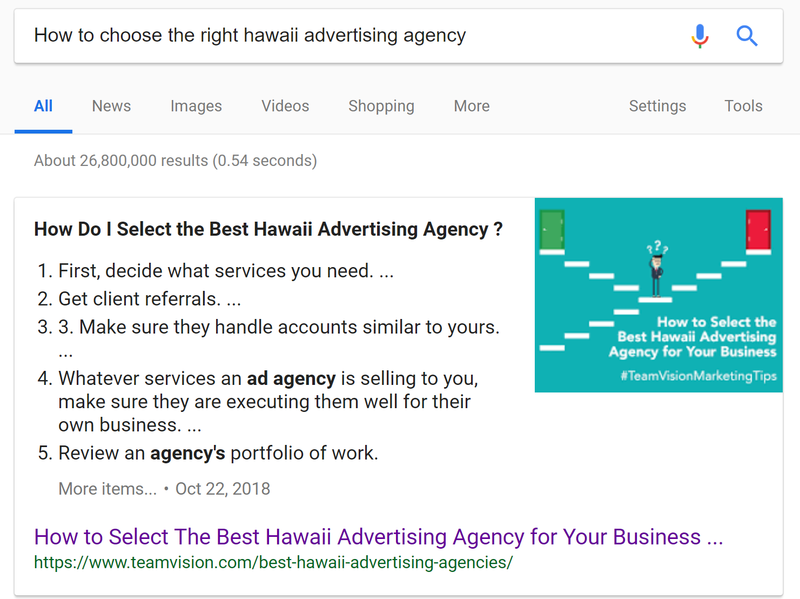 For Google Ads, this local furniture store would find that bidding on search phrases that name a specific location or product, like “Contemporary Furniture stores on Oahu” or “Where to buy couches on Oahu”, is more effective than “couches” or just “Hawaii furniture stores”. However, targeting a highly curated audience or bidding on really specific search phrases may counteract the effectiveness of the campaign by attracting too niche of an audience, or by being too expensive. 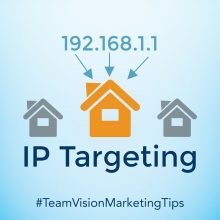 Team Vision Marketing recommends that brands first establish their marketing goals and objectives and then determine which type of targeting strategy to implement. For our clients, we normally recommend a healthy mix of broad targeting (to attract new customers) and specific targeting (to increase conversions of existing customers) as there are benefits to both strategies. MYTH 3: The Best Way To Gain Followers Is To Follow A Lot Of People And Then Unfollow Them. Mass social media following, and unfollowing is an unsustainable follower growth strategy and it makes your brand seem unauthentic. And, having a lot of followers doesn’t necessarily mean that your social media profile produces great content. In fact, having a large follower base, but only receiving a small number of likes per post on Instagram, will seem strange. Brands can still follow a lot of social media profiles, but the motivation behind your follows should be that the brands you follow are somehow relevant to your business, or they produce great content of interest to you and your customers. Our recommendation: don’t follow people and brands for the sole purpose of trying to get them to follow you back. The best way to grow your social media followers is to produce quality posts and to interact in a meaningful manner with the pages you follow by liking and commenting on posts you enjoy. Create a good social media strategy. Use free social media insights or social media analytics tools to determine the best times to post and what posts work for your business. Use hashtags and tag a location on your posts. Post high-quality content that brings value to your audience consistently. Follow relevant profiles, companies, and influencers. Promote your page or sponsor posts when relevant. Collaborate with another profile with a bigger following, or with a social media influencer. Incorporate promotions and/or incentives to encourage people to follow you. But remember, to keep them as followers long-term, you’ll have to consistently produce quality content. It’s important to note that these social media marketing strategies and tactics will require a substantial investment of your time and energy on an ongoing basis. If your company doesn’t have an in-house social media management expert, it’s recommended that you hire a social media management team or a digital marketing agency to manage your social media accounts. Does your business need assistance with managing your social media accounts? 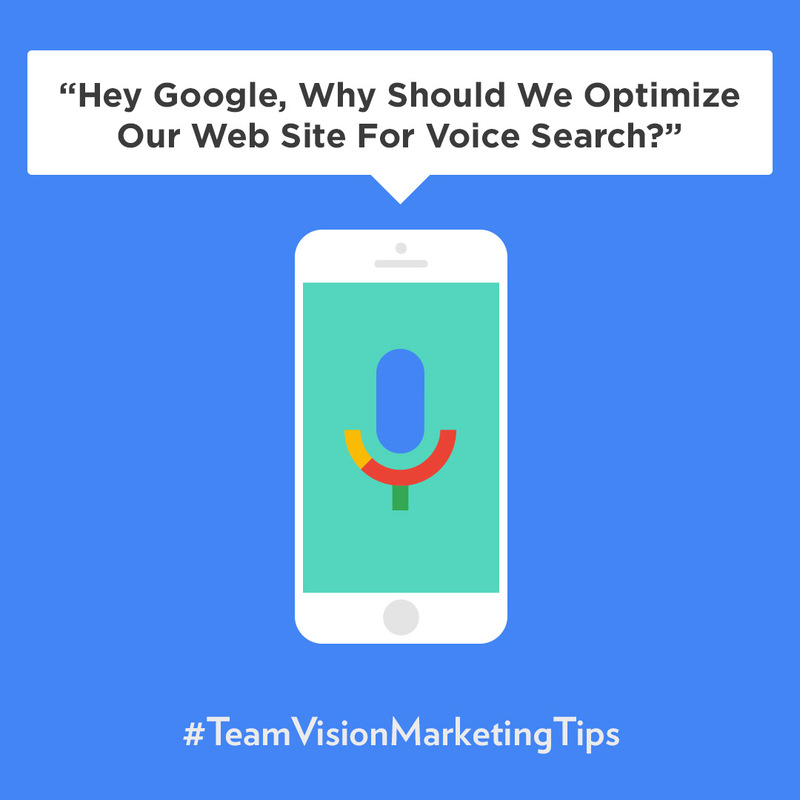 Give Team Vision Marketing a call and let us help you out. 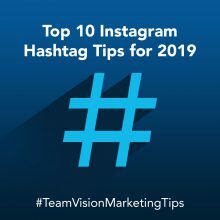 Be sure to check out some of our creative social media campaigns and promotions on our web site portfolio at www.teamvision.com/portfolio/#social-media.